That smile on your father's face is just costless when you surprise him with a Rado saying "Papa ye aapkeliye hai". Festival are times of celebration and togetherness and to share this togetherness we share our love with our loved ones by gifting them a piece of our heart and or it doesn't even need to be a festival always to gift something to someone but yes I may say specially the festivals are the best time to buy a gift for someone. And these gifts could be anything right from a simple pen to a Solitaire. And this exchange of gifts makes us happy. Well this was simple human logic I was talking about and somewhere or other this scenario tends towards truth so often. It’s just so logical that we love or respect someone and to share the love, respect and happiness we buys gifts for our loved ones. And to support our anxiety to buy products we have a wide array of websites available offering products and goods of our choice. And they are there to make our work easy. All it takes is just a few click and you are done. But what if I say that there is someone who can help you to get additional discount or fix you up with a good deal on any websites like flipkart, ebay, amazon, myntra and yatra? Yes you heard me right. Let me introduce you to 27coupons.com a website that has only been designed to help you to get the best deals available in the market. And I came across this website this diwali. And this website worked as a fortune for me. Yes it did. Here I am sharing my experience how and when 27coupon did a great favor to me and fixed me up with the greatest deal I had ever come across. Like I told you it was Diwali and wanted to gift something good to my hubby. And I just knew what he wanted. 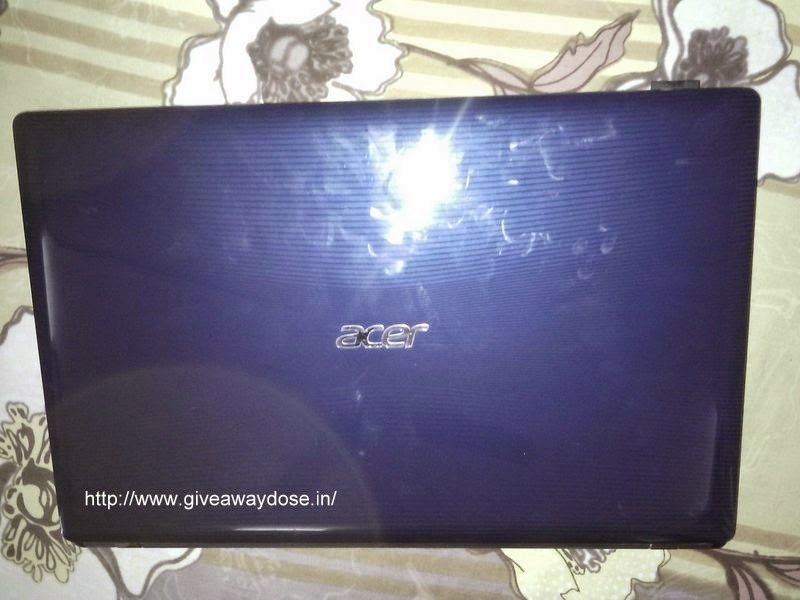 So I opened flipkart and started exploring for a laptop. I came across so many of them but wasn’t sure what I wanted to buy for him. I was stuck to my desktop monitor for hours but yet no result. I liked few of them but my pocket was tight and I couldn’t buy them. At the end it got on my nerves and I closed all the pages on my browser. I logged in to my face book account just to refresh up my mind but still the laptop was haunting me somewhere inside. And there it was on the right side of my face book page it said in bold letters “27coupon.com best deals on tablets and laptops”. If you are going to ask me yes I felt like the luckiest girl in the world at that moment of time. Next I clicked on the advertisement and there it was, the same laptops that was out of my budget was now almost in my budget. I didn’t even waste even a single moment I checked the specifications and then and there placed my order. You won’t believe saved 30% on the total price, that was heck of a deal and all thanks 27coupons. 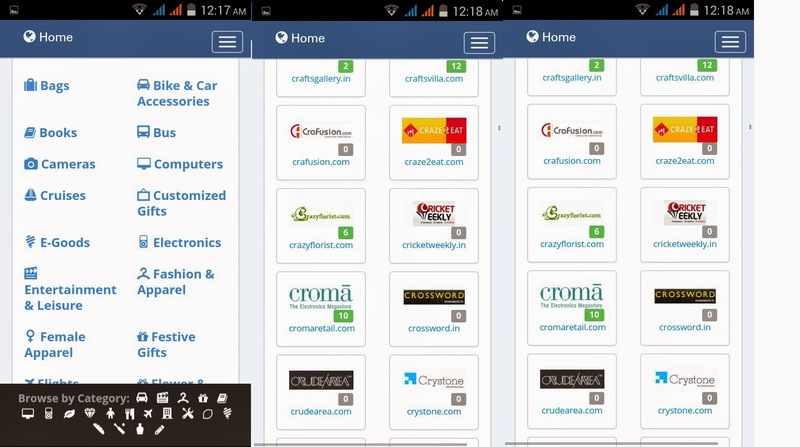 27coupons understood that the number of ecommerce portal in India has been developing rapidly and there had to be someone to bring all these portals to a single platform. It provides free service to the consumers and also escalate the sales of the ecommerce portal hosts.27coupons have everything on their site well categorized. The website has separated every brand and it is so easy to find the deal. One can directly visit the brands or the portals they want to cut the deals for. 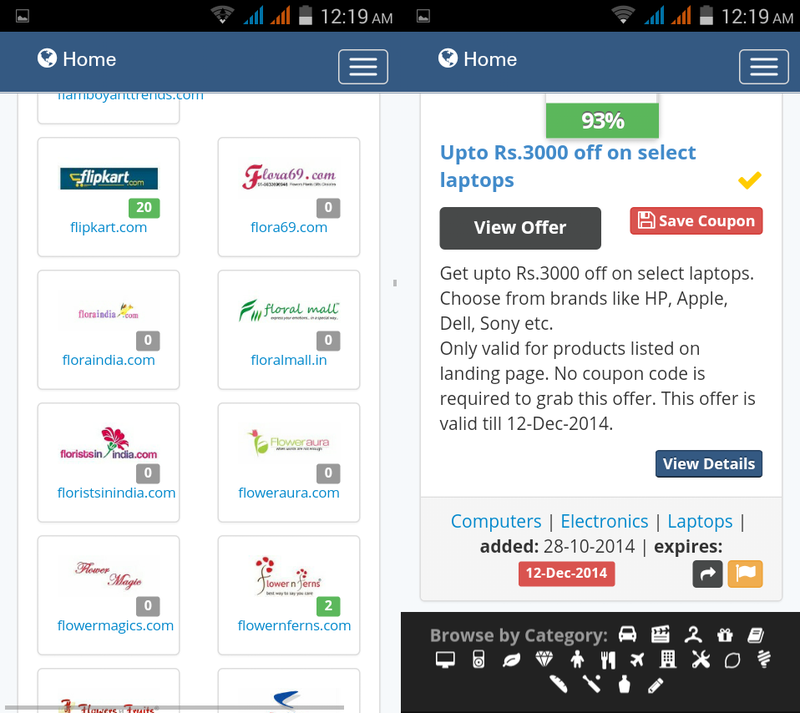 It has also categorized the deals according to the products. For example if you are looking for a cell phone just go to the category and click on the mobile option and you will find all the deals offered by the various brands. Isn’t that easy? Surely it is. So next time if you are planning to buy something from the ecommerce portals just don’t forget to check on 27coupon.com. Who knows you may get lucky too. Save big and enjoy.